SRJ Windows install conservatories in homes throughout Dunfermline, Fife, Stirling, Perth, Dundee, Edinburgh, Rosyth, Glasgow and surrounding areas. For the ultimate in a bright and spacious feel, our conservatory is the perfect way to bring a bright and spacious feel to suit your home. Due to the generous amounts of glazing, they allow for high amounts of natural light allowance and increased views. Combining the latest technologies with traditional values, these conservatories specialise in providing an industry-leading standard of thermal efficiency, design and security to ensure they are a worthwhile investment for your Fife-based home. We know you want to get the perfect fit for your property, which is why our designer conservatories are offered in a choice of sizes and shapes. They can also be customised with a wide range of features to guarantee they reflect your tastes. Furthermore, to bring an even more bespoke touch to these extensions we offer options such as decorative cornices for the exterior, or a range of speaker and lighting options to help you capture the right ambience. You’ll be able to make it feel more like a piece of your home. 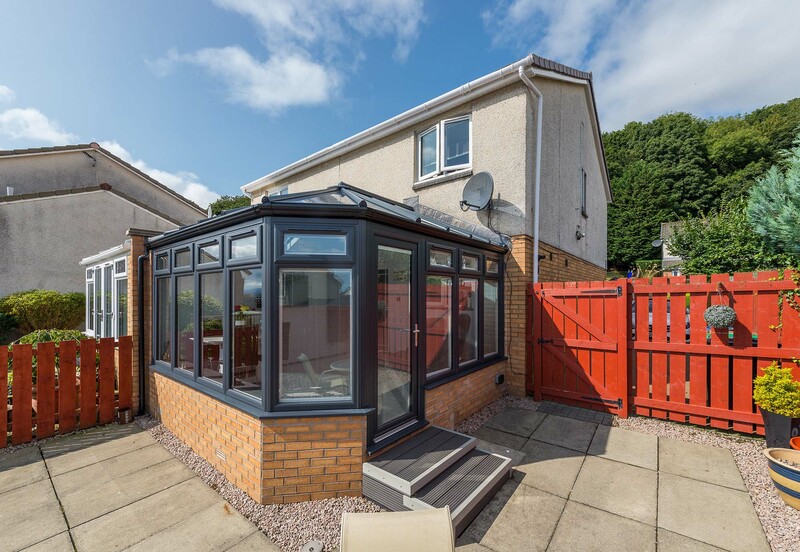 We all know that the Scottish winter can bring a bitter wind, which is something that you won’t have to worry about with a new conservatory. Even in extreme weather, you’ll be able to remain warm and comfortable. Further to this, our conservatories can also help you to reduce your heating bills as you use your central heating less frequently. SRJ conservatories are crafted in a state-of-the-art design, which can be easily tailored to suit any home. This incredible product range is available in a variety of shapes, including Gable, Georgian, Lean-To, Victorian, T-Shape and P-Shape. Whatever the shape of your home or size of your garden, you’ll be able to get a conservatory that is the perfect fit. Choosing the right material for your needs is important when it comes to getting the ideal home improvement solution. Although each material offers its own benefits, both allow you to enjoy industry-leading standards without compromising on looks. 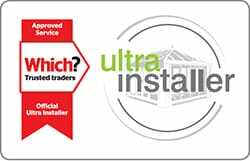 Speak to a member of our team to see which one is right for you and choose between the Classic and Quantal aluminium roofs. Bringing a personal touch to your conservatory is made easy with our range of upgrade options. This includes a limitless range of colours, as well as an insulated internal pelmet, decorative cornices, super insulated pelmet and/or central lighting panel. Bringing the right feel to your home has never been simpler, and you’ll never have to miss out on leading quality. Bringing a new, high-performance conservatory to your home doesn’t need to be a stressful process. Our bespoke conservatories are specially designed to avoid any of the red tape that is associated with building regulations or planning permissions. This works to notably cut down the overall installation time and makes the process less stressful for you. Due to premium grade materials, and professional manufacturing and installation process, you can be sure that your new conservatory is set to last. However, in the unlikely event that you have some problems with your conservatory, we fit them with a comprehensive 10-year guarantee to keep you covered. There is no reason to worry with SRJ. If you want your conservatory to emulate the feeling you get when walking into a normal home, then our designer conservatories may be the right choice for you. The insulating perimeter ceiling pelmet provides a unique experience when combined with house lights and speakers, and the plastered finish and range of cornices give these conservatories a homely feel. If you’re in the market for optimum thermal efficiency and a visually stunning design, then one of our performance conservatories may be the right fit. Featuring a super insulated column which is 5 times more thermally efficient than competing brickwork products, these extensions will warm your home naturally and reduce your energy costs in the process. Providing you with the perfect way to brighten up your home, modern classic conservatories are imbued with a number of winning features thanks to proper utilisation of the latest manufacturing techniques. With traditional and contemporary styles on offer, you can easily craft a bespoke product that has been made-to-order for your home. Get in touch with us via our online quoting engine to get a free, competitive and bespoke quote based on your specifications. You can also reach our team by filling out the SRJ online contact form should you have any questions. Alternatively you can come to visit our showroom in Fife to see our conservatories for yourself. You won’t be disappointed in what you see, and a member of our professional team will be more than happy to help.